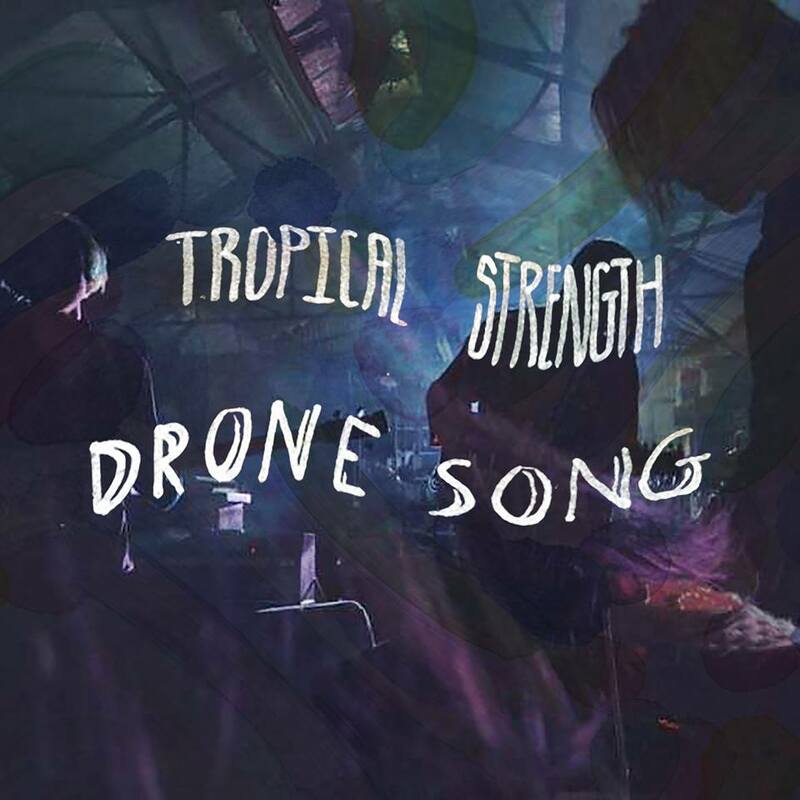 “Drone Song” is the first Tropical Strength song to spawn from the live experience, having become a staple in the bands live set, the track has organically taken shape as they toured throughout 2018. The 9 ½ minute sprawling, pulsating psychedelic trip, originally exclusively meant as a live track, “Drone Song” has warped and morphed through every performance with improvisation and the energy and interplay of the band in the live experience key to its existence. Uncertain if capturing the magic of this was possible, Al Foil of The ‘Strength had been unsure if a recording could do it justice but when offered the opportunity to record some live clips in the infamous ‘Pinshed Sound Laboratory’ with longtime friend Merlin Magneto(The Pinheads), an idea to create a special experience was hatched. The new Tropical Strength outfit which consists of members shared with the likes of The Walking Who, The Babe Rainbow, Shining Bird, The Pinheads and Luke Spook joined brothers and founding Tropical Strength members Al Foil (Guitar/Vox) and Sir Dinsington (Keys/Vox) for the experiment with Luke Spook on Guitar/Vox, Frank Zimmer on Bass, Smiles Myjavec on Percussion and Gene Pools on Drums. The band took to the remote sound lab as the sun set on a particularly mysterious evening late last year with Merlin Magneto recording the session straight to tape and friends, esteemed documentarian – Micro Hercules and associate Big Will set up and ready to document what went down on film. As the light faded, the spider laden sound lab lit only by the peering moonlight and an acid-trip inducing liquid light show that business associate Charles Billingsworth cooked up provided the perfect setting for an exploration of psychedelic sounds late into the night. The result…? Put on some headphones, turn off the lights, zone out and experience it for yourself.